You must buy a minimum of 10 and in additional increments of 10 due to manufacturer packaging. 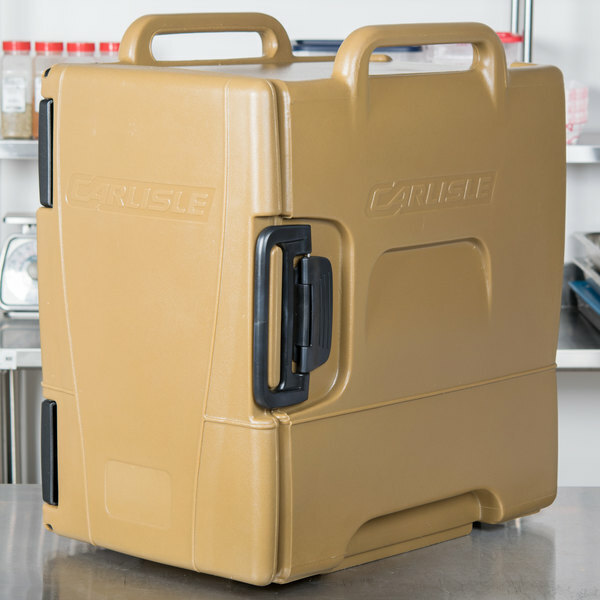 Store and transport all your mouth-watering creations in this versatile Carlisle IT40043 caramel front loading insulated pan carrier! 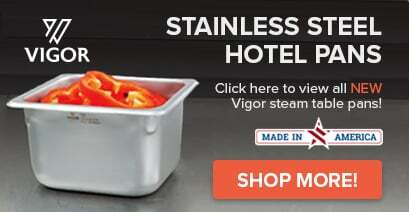 Capable of holding (4) 4" deep or (6) 2 1/2" deep full size or fractional pans, this carrier is perfect for moving hot or cold dishes to and from catered events! 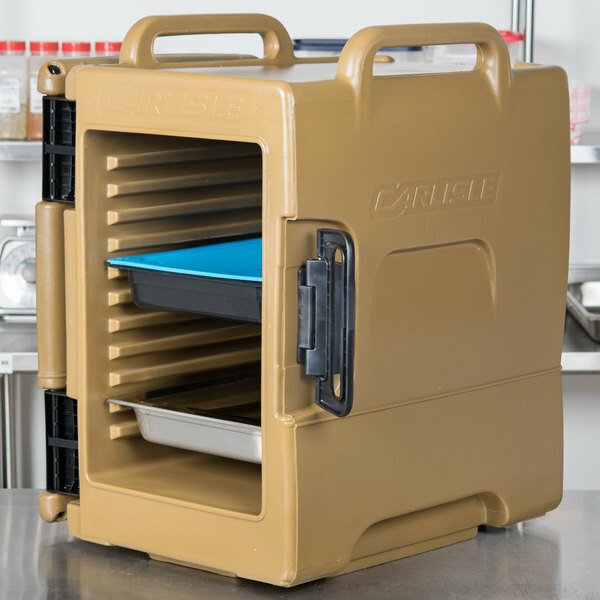 IT pan carriers have a marine edge on top of the unit that prevents any spilled liquids from dripping down into the pan carrier. 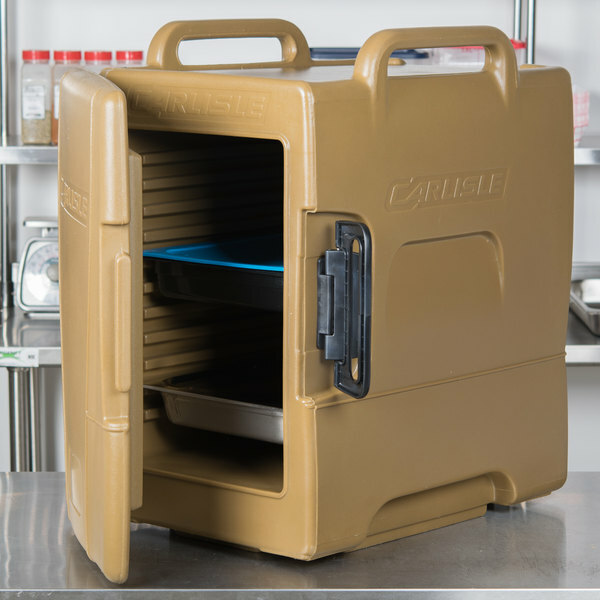 The back drain feature allows any liquid to fall off behind the unit, preventing contamination. 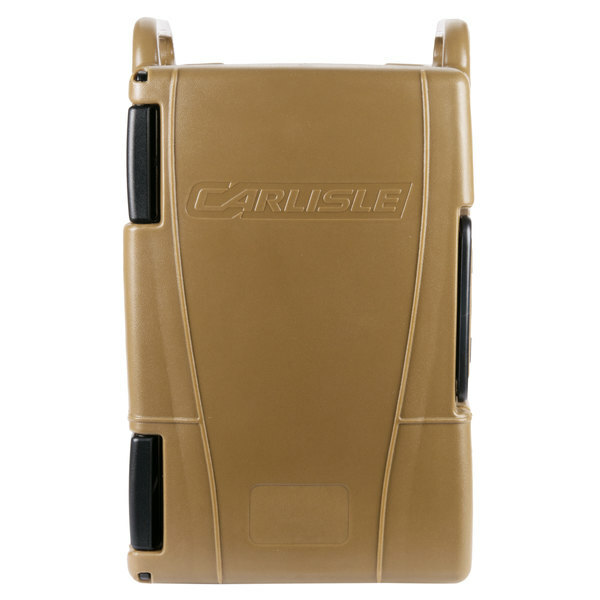 Due to its innovative double hinge design, you never have to worry about metal hinges cracking the plastic and ruining your carrier! These hinges are designed to expand and contract with the unit, according to the temperature, so breakage is never a concern. Furthermore, these hinges allow you to fold the door completely against the side of the carrier for quick, unhindered access to its contents! 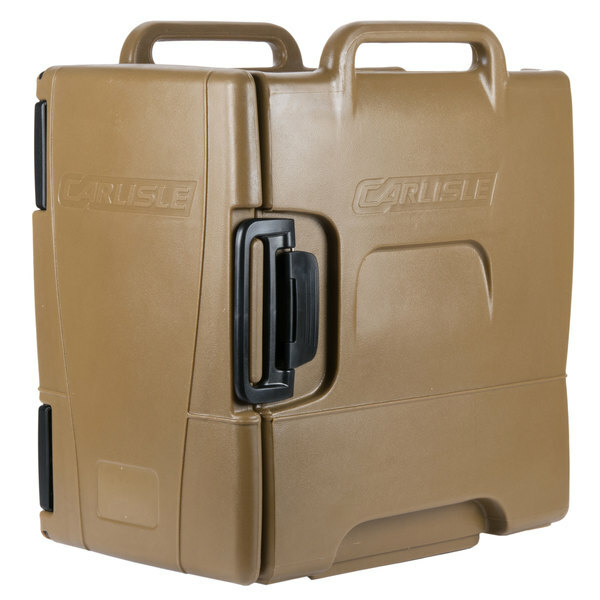 Made from heavy-duty, easy-to-clean polyethylene, this foam-insulated carrier is capable of keeping its contents at safe serving temperature for over 6 hours! The sturdy construction features extra wide sure-grip handles and a built-in easy lock attachment for use with an optional integrated dolly for easy transport! 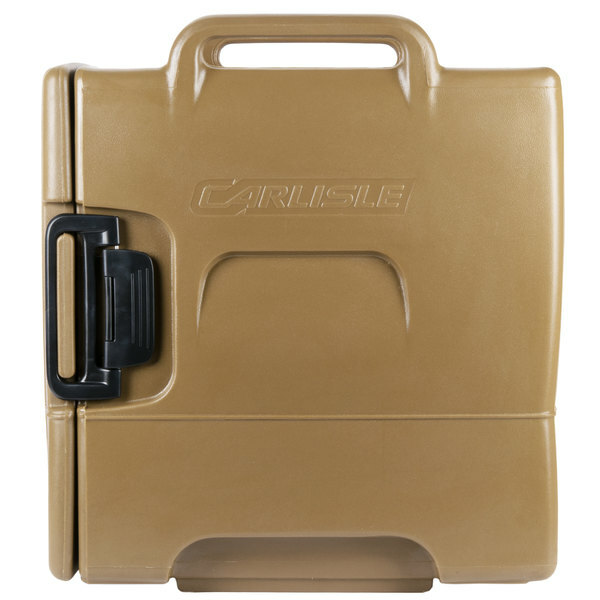 Love my Carlisle IT40043 Caramel Front Loading Insulated Food Pan Carrier it kept my food nice and hot. The look of the product look expensive. I recommend this product. This was a good investment.